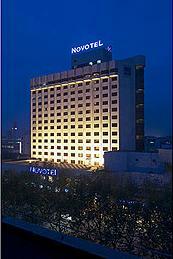 The Novotel Qi Yun Hefei is conveniently located in the city centre, opposite Bao Zheng Lake. The hotel is 15 minutes drive from the airport and features 243 rooms, 2 restaurants, a sports bar, karaoke room, fitness centre and beauty salon. There is alsoan 18 hole international golf course within 40 minutes drive. Sofitel Grand Park Hefei is of European design and located in the economic and technological development zone of southern Hefei, only 10 minutes drive from the airport or 20 minutes from the city centre. 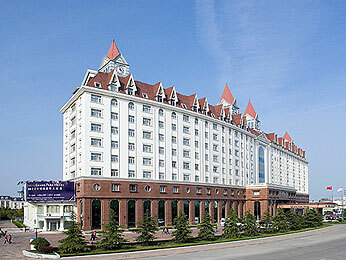 Situated near the Anhui International Exhibition and Conference Centre, adjacent to Ming Zhu Park and the European City, the hotel features 261 rooms, 3 restaurants, 3 bars, a swimming pool, fitness centre and business centre. Conference facilities are also available for up to 450 delegates. Set on 358 acres beside the magnificent Jade Lake in the National Economic and Technical Development Zone, Sofitel Lakeside Hefei is a tranquil resort close to local attractions, the city centre and Luogang Airport. 142 luxury rooms and suites in six villa style buildings with modern facilities for business or leisure travel, bringing together the magic of the Orient and comfort of the West. Facilities include 2 restaurants, a bar, 8 meeting rooms, swimming pool and fitness centre.